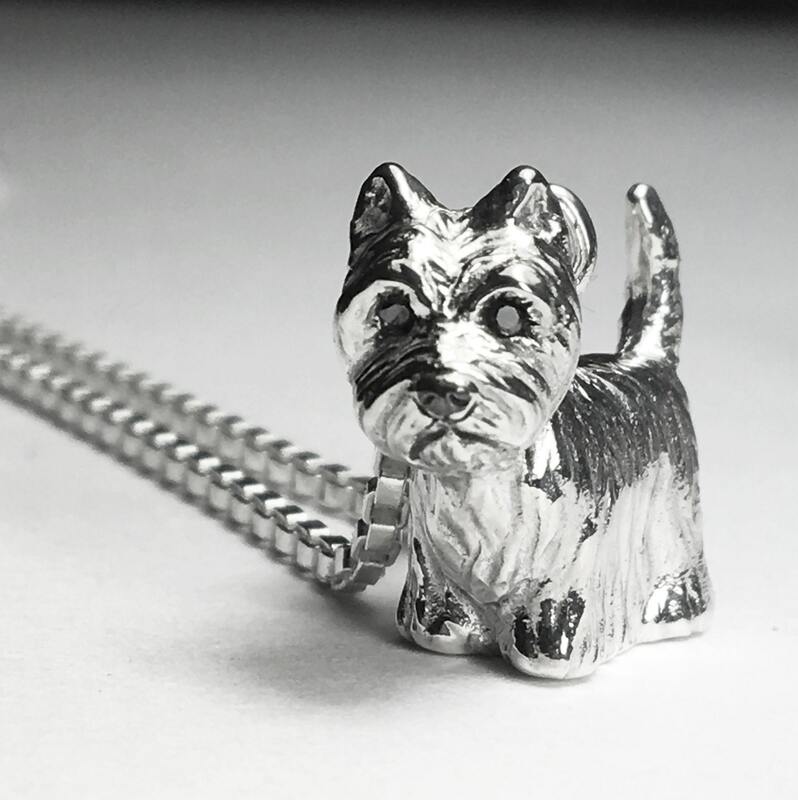 Sterling Silver West Highland Terrier Westie Dog Charm with black diamond eyes. Sterling Silver West Highland Terrier "Westie" Dog Charm with black diamond eyes. 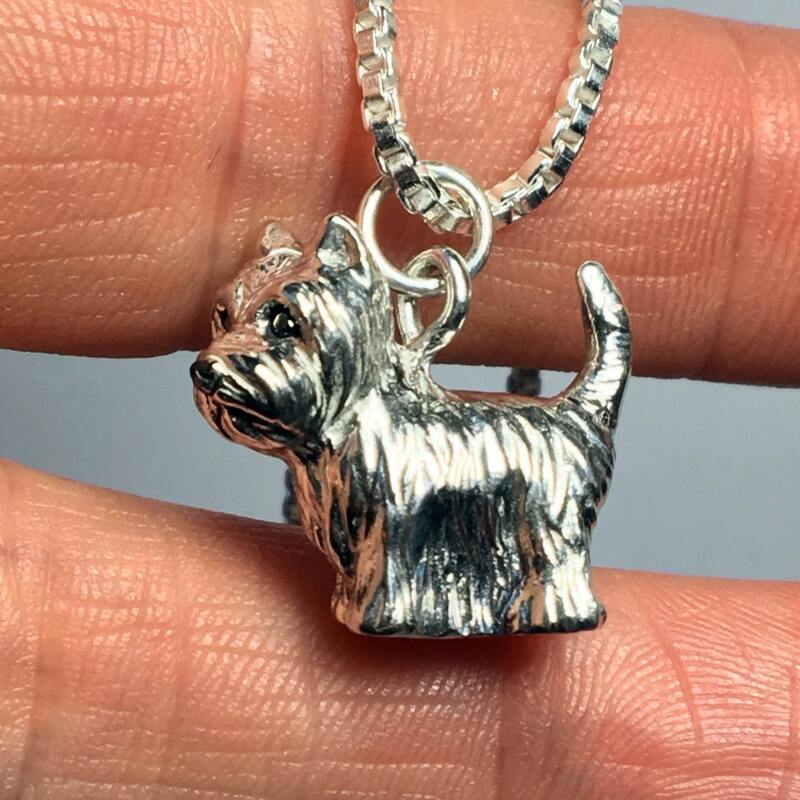 A sweet little Solid Sterling Silver West Highland Terrier with black diamond eyes! 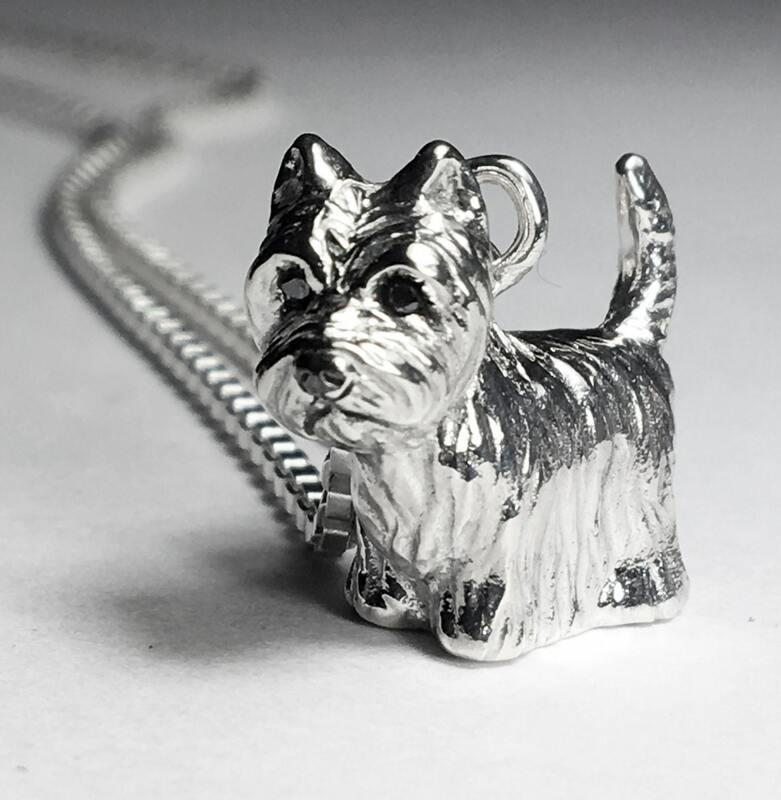 Westie is available hung on a Sterling Silver chain or as a charm only (with jump ring). Charm measures approximately 7.5mm wide x 18mm long x approximately 11.5mm high. 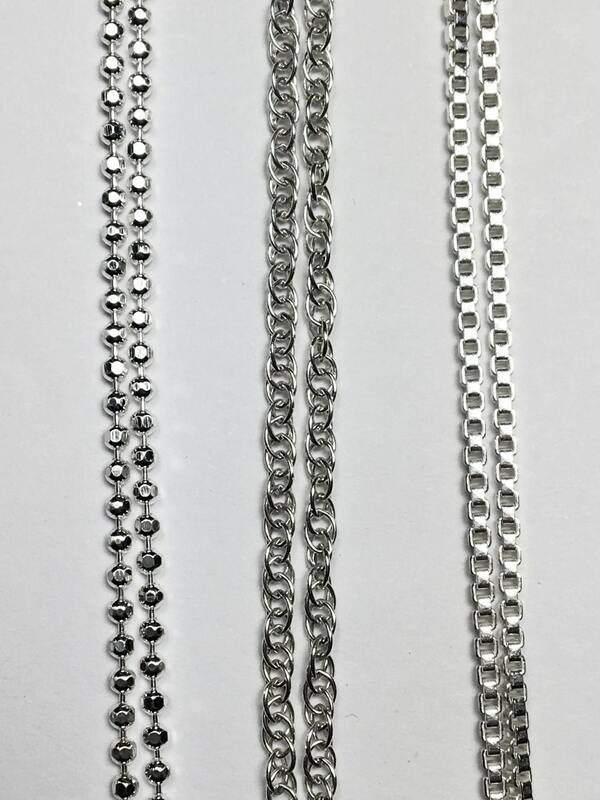 Chain options are: 20" diamond ball cut chain, 30" rope chain or 20" box chain. Reminds me of my little boy who is in heaven. So super duper cute. 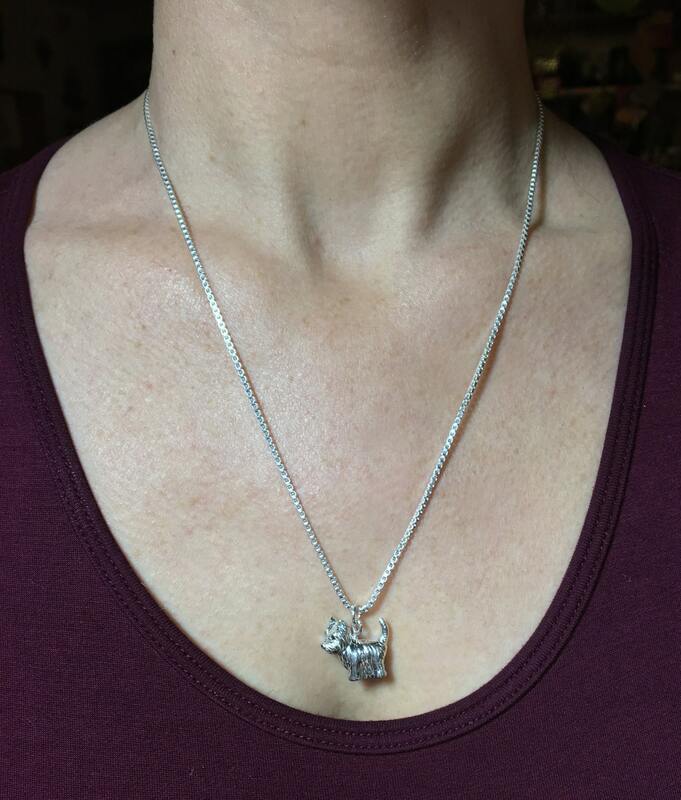 If you love Westies, you will love this charm. I hope Jennifer will make more Westie items!